After experiencing the Diamond Micro Facial at KRISTYL, you will never spend money on another regular facial (unless it is strictly for pampering purposes). 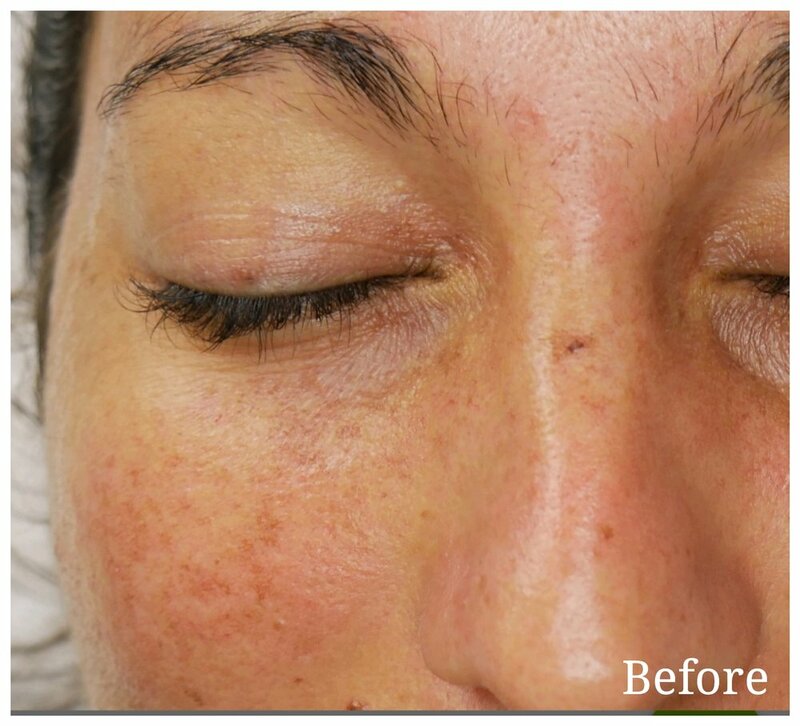 Microdermabrasion is a small (micro) amount of exfoliation (abrasion) done mechanically on the skin (derma). It was first done by the Egyptians when at the time they used a type of sandpaper to help remove facial scars. Crystal Microdermabrasion – uses aluminum oxide crystals which are blown onto the skin at high velocity. This microscopically tears and removes the outer most layers of skin, then using a high-volume suction to remove the crystals. Unfortunately, aluminum oxide crystals have been linked to Alzheimer’s disease and can cause blindness if they were to get into the eyes. Some machines revert to other crystals such as sand, salt or sugar. 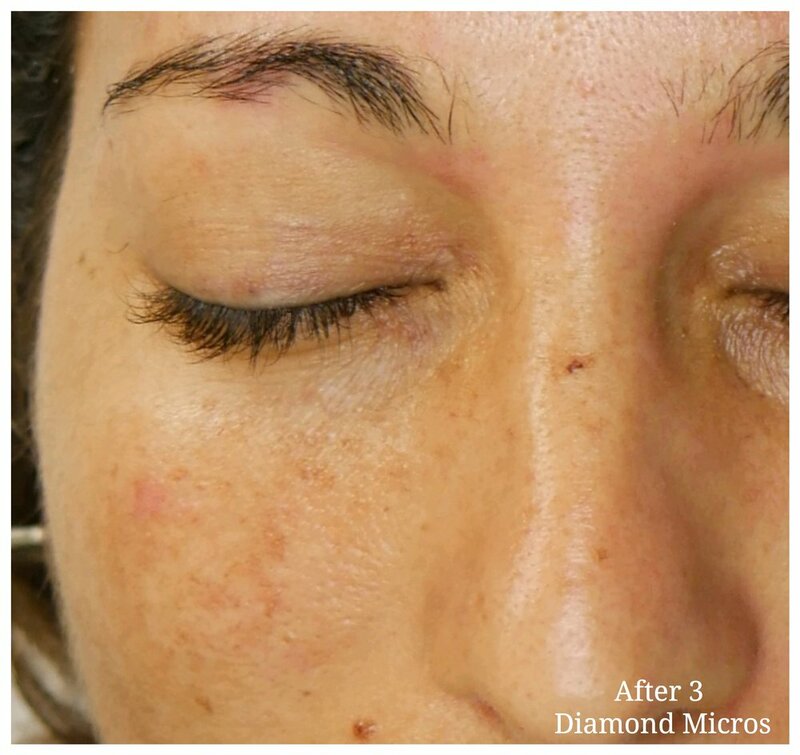 Diamond Microdermabrasion – uses laser cut diamonds that are embedded on the end of a wand with a light vacuum. The vacuum is used to prevent the removal of the dead skin from being in the air. This procedure is more modern than the traditional Crystal version and has been around since the mid-1990s. HOW DOES THE DIAMOND MICRO FACIAL WORK? This completely painless procedure uses laser-cut diamonds as the exfoliant. There are 3 types of diamonds used, fine, medium and coarse. The procedure always starts with fine diamonds. It is the safest and most effective way of removing old, dead and dehydrated skin cells. Typically, there are 25-28 layers of skin cells in the epidermis. Every day one new layer (or row) of cells is made and one layer is removed (top layer is dead skin and easily removed by rubbing or washing). The diamond microdermabrasion removes the top 3-5 active layers of skin cells which in turn, forces the body to make 3-5 brand new layers of cells at a rapid rate. This process strengthens the skin from the inside, outwards. The Diamond Micro Facial helps with the penetration of skin care products by up to 50% and makeup will go on much more smoothly. For *optimum results, the first 3 treatments are done a week apart (from fine to coarse as quickly and safely as possible), and maintenance every 4 weeks (depending). It does not mean the treatments MUST be done in this order, this is for the best results possible. This is extremely painless and does not leave the skin raw. It increases the collagen and skin’s elasticity and is suitable for everyone and every skin type. Overall it strengthens the skin and therefore slows down the aging process.